The Planning Notepad by John Krissilas: Social Media Week #2: Let's Get Political! Social Media Week #2: Let's Get Political! Everywhere you go, everyone seems to be talking about it: social media. Marketers are suddenly falling over themselves in order to take advantage of an increasingly essential element of the marketing mix, while agencies are attempting to become experts in a still nascent discipline. 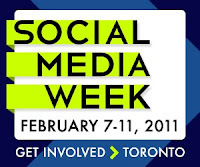 That can only mean one thing: it's time for Social Media Week!! The Social Media Week Series will focus on insights gained from several sessions from Toronto's version of the Feb. 2011 conference. This post will focus on social media and politics. In no sector is social media more important than politics. The time when our only true conduit to the people who governed us was a phone call to our local constituency is over. Now, more than ever before, people have the means and the passion to connect with their leaders and their parties on a one to one basis, and social media channels like Facebook, Twitter, and the Web allow them to do so. But how much do politicians truly utilize social media channels in order to build relationships with people and engage with voters? How has social media been integrated with more traditional methods of politicking - from propaganda-like push advertising to face-to-face meet-and-greets? And finally, how effective is social media in bringing political parties and candidates a return on investment where it truly matters: votes? These were but some of the questions that were debated and discussed at the "Social Media for Mayor" session at BNotions in Yorkville. The panel, which included representatives from both media companies like The Globe and Mail and PR agencies like Edelman, was moderated by Michael Nus and focused on how the candidates in the recent Toronto mayoral race used (or didn't use) social media in their political campaigns. In this post, I'll touch upon several topics that were discussed on the use of social media in politics. 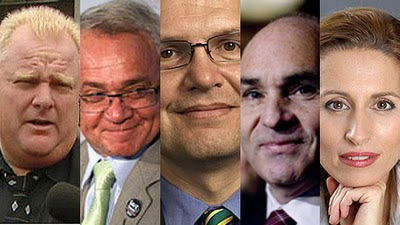 1) A Platform for the "Urban Elite"? This question came up many times during the panel discussion: do the users of social media platforms (especially Twitter) still represent a niche group within society - the "Urban Elite," so to speak? 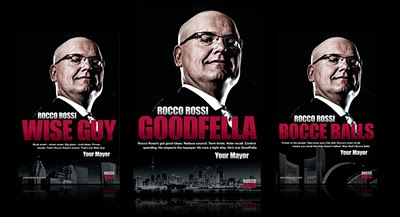 As the panelists noted, although Rocco Rossi's "Goodfella" campaign had major success in the social media space while he was in the running, Rob Ford - who barely engaged with voters through social media - won voter interest far and away. Could it be that social media platforms like Twitter (and to a much lesser extend, Facebook) are still platforms that are most heavily used by a small segment of the population (relative to the mainstream voting public)? 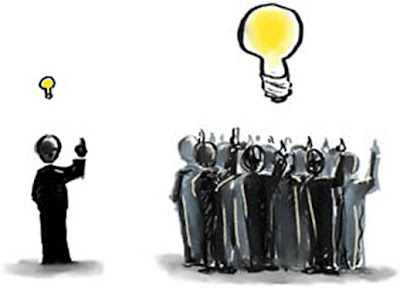 Is the dialogue in this space just us - politicians, the media, and marketers - talking to ourselves? Take a look at the map below, which outlines the distribution of votes by location. 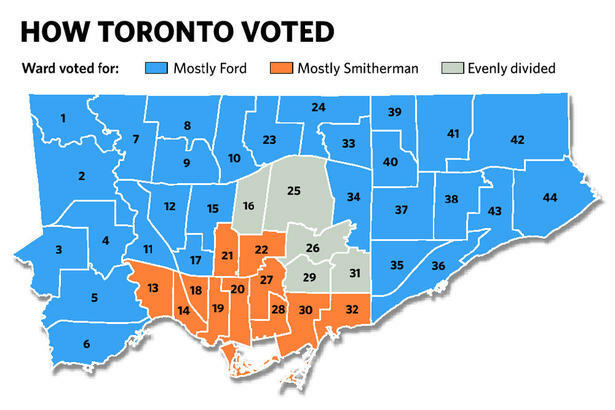 Ford clearly won the suburbs, while Smitherman - whose campaign used social media much more than the latter - won amongst the highly-connected crop of urban voters. Did social media simply not have an impact on voters in the suburbs (by far the majority in terms of numbers)? And if that's true, why bother using it? On the other hand, I'd like to add this question: does the size of the audience in the social media space really matter in the long run? Traditional media (newspapers, TV, radio) picked up the dialogue and news from the Twitterverse almost immediately and disseminated it to the mainstream voting public within hours. No matter where you lived, no matter how much time you spent using social media, you knew about what was being said in that space. Whether you heard it from a radio host on your way to work or read about it in the daily Twitter feeds featured in the newspapers, if you were paying attention at all, you knew. That begs the question, then: was Ford's runaway success not dependent on the medium, but rather the message? 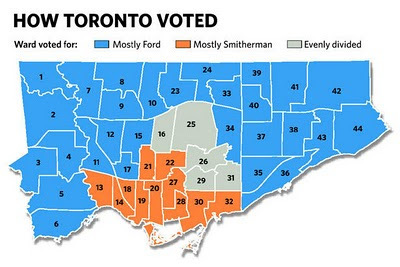 Perhaps, then, it was the simplicity and (as one panelist noted) "shallowness" of Rob Ford's campaign message, repeated consistently throughout the duration of the race, that persuaded voters that he was the right man to lead this city out of the recession. 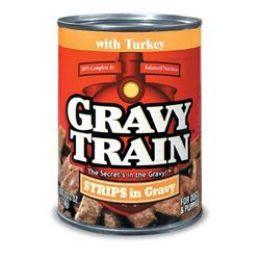 By the end of the campaign, every voter in Toronto knew his "Stop the gravy train" slogan and how it illustrated where he stood. It's ironic that in Toronto's first mayoral race to include social media as a key element, Ford's simple message seemed built from the ground up for traditional push media. And it worked. It wasn't just Rob Ford's simple, catchy message that helped to endear him to Toronto's voters, his success was also due in part to his use of what could be termed "old school" social media to engage with the public. Ford held his own "town hall" meetings to take on live questions and communicate his campaign ideas, he utilized "robo-calling" to reach voters via telephone and solicit questions which he would address in the town hall sessions, and he spent much of his time talking to people - both on the phone and throughout the city. As the old saying goes, "No news is bad news," and this seemed especially true for Rob Ford during the mayoral race. Despite the social media activity from other candidates, much of which attempted to discredit his character, Ford seemed to be the candidate that everyone was talking about. Though he barely used social media, he led all candidates in YouTube video hits. 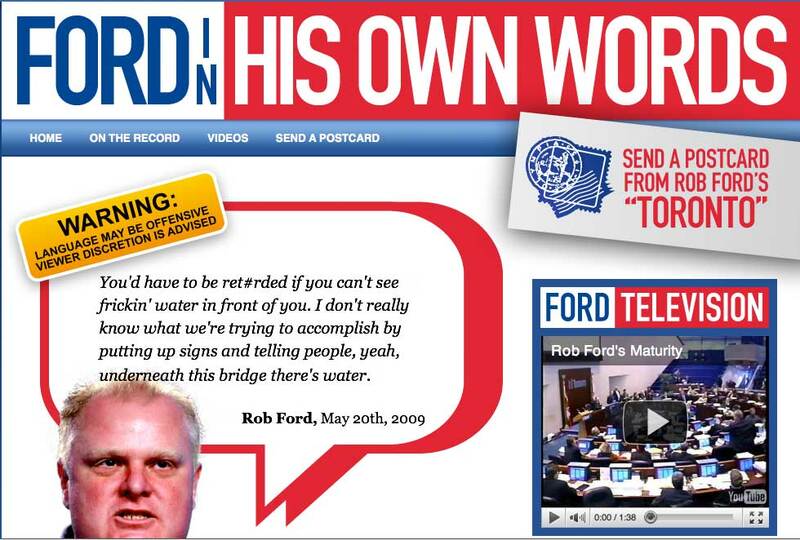 In fact, Smitherman’s anti-Ford campaign, which even included a full-fledged website (FordOnFord.com), actually helped Ford’s cause! His opponent's efforts to cast him as a villain ended up portraying him as the ultimate form of political candidate: the "frontrunner underdog". The only necessary ingredient for a successful social media campaign, as it turns out, is talk value. Here's a question that I'll raise: is it worth it for political candidates to spend time campaigning in the Twitterverse and attempting to use social media to engage and influence young voters in their own space when many of them don't end up visiting the polls? The current process of laying down a vote may continue to be a major factor in this. Offline voting is as cumbersome and inconvenient as ever. Imagine getting home from school, attempting to find out where the voting station in your neighbourhood is located, and then learning at the last minute that you're not even registered yet. Jeez. It only makes sense that the best way to "close the sale" with young voters is to give them the option of voting in a space that they're comfortable with: the Web. 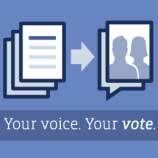 Imagine being able to cast your vote via Facebook? All this talk about social media and politics left both the panelists and audience members mulling over the ways in which social media might be used by politicians in the future. While these channels were primarily used in a similar way to traditional media - to push campaign messages to voters - perhaps future candidates will use the medium to engage with the voting public and have two-way conversations with them. While the mayoral candidates mostly kept their "campaign hats" on as they communicated through social media during the race, perhaps in the future they will strive to be more authentic - to talk about things other than politics and allow voters to get a sense of who they really are. Finally, perhaps the future will even involve political campaigns that aren't static or set in their mandate, but rather dynamic in response to the reactions and input from the public - or "crowd". This is a democracy after all, isn't it?? In the end, despite the heated discussions and debates, the panelists all agreed on one thing: the only way to truly measure the success of a politician's social media campaign is votes.